I ventured outside yesterday against my better judgment. I went to a gathering because my daughter had a commitment I wanted her to see through. We stepped into the attached garage, I took a deep breath, and my nostrils froze shut. Now for those of you who live here on the Prairies, or even have experienced north of the 45th parallel cold you now what I mean. Frozen shut nostrils means it is COLD. We hopped into my car after unplugging it. It took about 10 blocks before we could feel heat coming through the vents. We didn’t find it cold enough that our feet froze in an effort to keep the windows clear, so I was quite surprised to find out a tidbit of information at this gathering. 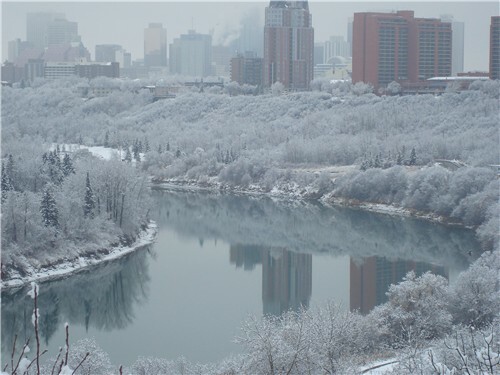 Yesterday Edmonton was the 3rd coldest place on the planet. Antarctica was the first, than Calgary. When the wind blew it felt like -39C. Yes that is cold, the kind of cold that makes your skin burn. I love it! I know you think I am crazy, but I don’t mind the cold so much. I find it convenient. I put a box on my deck to freeze my baking ( the box keeps the birds away). I have hoped we would have the coldest winter on record. Why you ask? Because the Evil Genius lands in Vancouver today, he comes to Edmonton on Saturday. He lives in Australia the land of sun, heat and Dingos. He is leaving his summer behind to experience a winter in the Great White North. He deserves a bitterly cold winter. 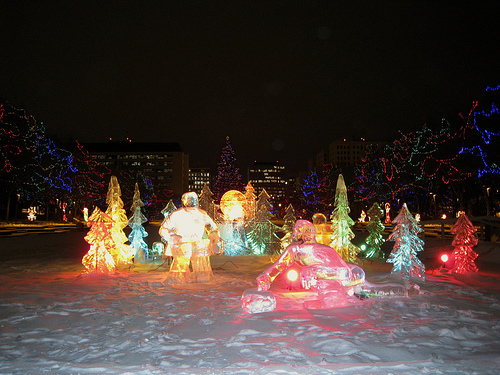 Its been a while, but here is The Edmonton Tourist’s Top 11 Best things about a Bitterly Cold Winter! The Sound of Snow! I know this may seem odd, but as it gets colder, there is a dense sound Sound seems to be absorbed by the snow. When you walk on it there is a crisp squeak beneath your boots. I love this sound! A Prairie Blue Sky! As the temperature drops, the sky just seems to get bluer, if that is even possible. The Sun Always Shines! When a High Pressure settles in for a long time, the sky stays clear, there is no extra snow and the sun shines all day! It’s a dry snow. Here on the prairies snow doesn’t tend to be wet and heavy until spring. In the winter snow is light, fluffy and dry. It gets on your clothes and you don’t get wet. You can stay outside longer because keeping dry means staying warm. Shoveling is easier – not that I know what it’s like to shovel snow, I have a Honey and Offspring for that. Everything takes longer. I like that. It is longer to get to work, it is takes longer to move around when you are bundled up, it is a lazier time, much more relaxing. Ice Fog. 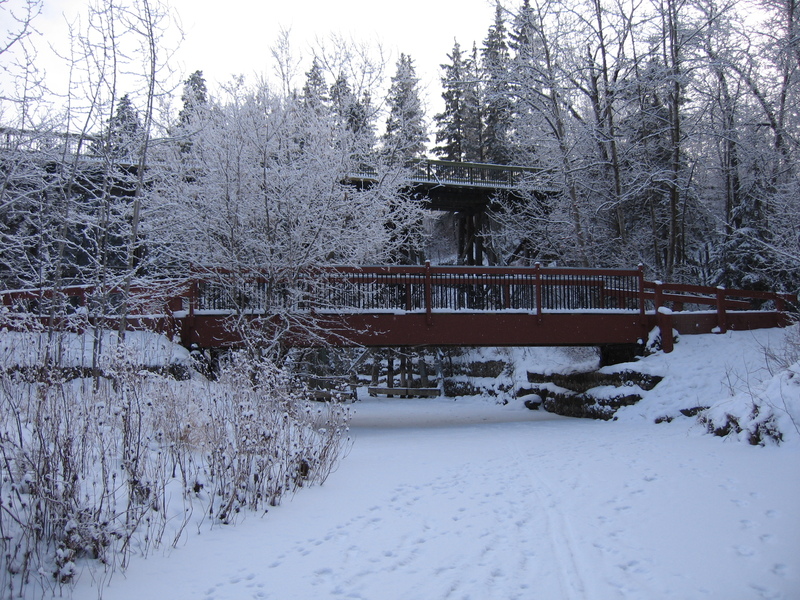 Ice fog produces beautiful sunrises and sunsets, keeps the trees and shrubs beautiful with the absence of leaves. Wool Socks. I love to be bare foot, but when it is cold there is nothing I like more than colourful cozy thick wool socks. Quilts. I use to quilt daily. That dwindled to occasionally, then eventually to never. However, I am so very happy I was prolific in my creations. I have enough cozy quilts for everyone to have on their bed, and an extra one each to wrap themselves in while sitting by the fire. Northern Lights. It seems to me, the colder it gets the clearer the skies and the brighter the Norther Lights get. Yorkshire Pudding. Has nothing to do with it being cold, but tastes better when it is cold outside. Frozen Breath. As a kid it was fun making designs with it or just puffing it out. I still like to do it. I love that I live in a place that has four very different seasons. Winter isn’t my favorite of the four, but I would miss it if I didn’t have it any more. *****How thoroughly amazing a huge, hot cup of (______ insert your favourite drink here) tastes when it’s this cold!! It could have easily been a top 100 list. A hot cup of ____________ is amazing but I must request electric cup holders for the car, we both know I like my beverage to be EXTRA HOT! I am totally with you on loving the seasons. Although winter could officially end for me on December 31st, I would definitely miss it if it didn’t exist. Autumn is my favorite season by far, but having the snow and crisp chill of winter really makes the holiday season perfect. I really hope we have a white Christmas this year. In the past few seasons, it has rained the week of Christmas, leaving a soggy and depressing landscape. Just doesn’t feel like Christmas without that white stuff floating around! 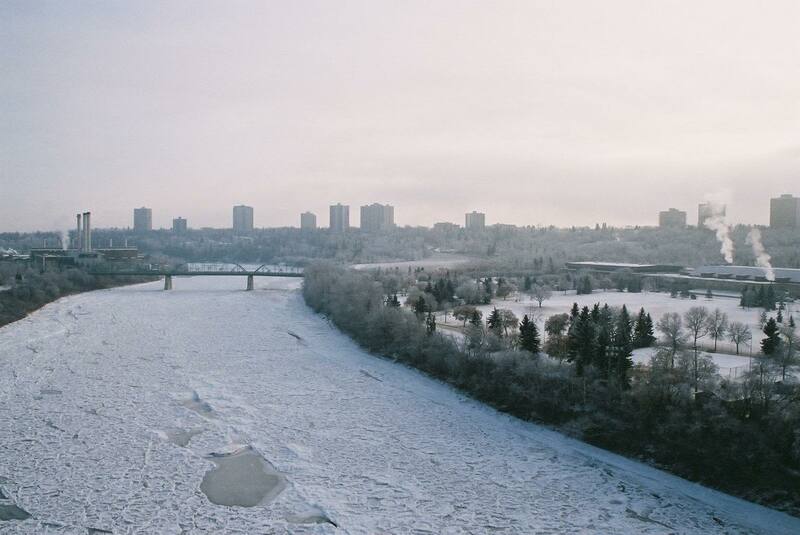 Your descriptions of winter and your photos make me want to come and visit you in Edmonton in winter! I can’t imagine how it feels to be in weather THAT cold, but I’d love to experience it! Come!! It is very beautiful. I know a family from Sudan, they have lived here for 20 years. She says in that time she has never been warm, even in the summer. So bring your long jonhs! Growing up watching movies,Christmas feels like it is suppossed to be a white one. So must admit- I am quite jealous. We would not have the resources to deal with cold like that. I think the worst i have ever felt is -1 degrees celsius. By then, i am wearing two pairs of pj’s, and trying to have the hottest shower possible before i climb into bed. Our Christmas will be hot! Very very hot!!! We will all be outside in the sun around the pool. And as much as we will all try our best to plan a traditional dinner………. we wil probably end up having a braai (barbeque). 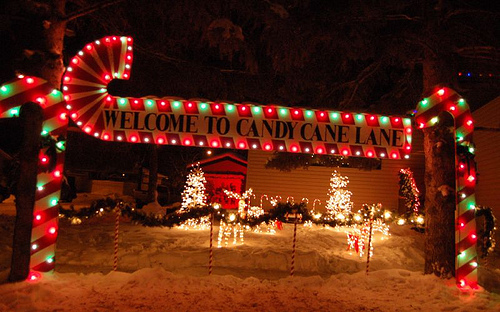 Perhaps one day a holiday there woudl be awesome- over Christmas. Enjoyed it. There have been times in recent memory where the snow started melting Christmas day or there was none, but never has it been hot. I do enjoy it. Although the thought of sitting around a pool on Christmas Day does sound decadent! 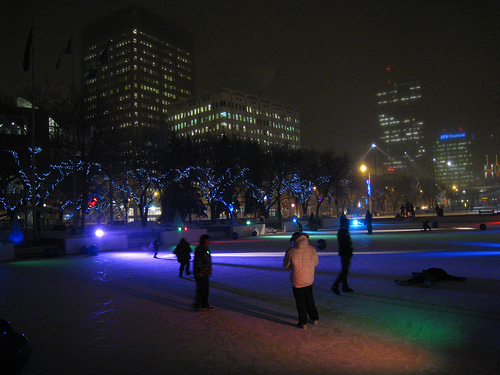 Love the blog the pictures are great you show off our city quite nicely. That Christmas when you and honey were out on the deck I didn’t mind that we didn’t get any snow till March of the next year. I would love a Christmas in Hawaii. I don’t like the cold very much. Although I have to admit by Wednesday I was getting used to the cold again. Go figure. Now it’s warming up and the roads are like soup and everything is getting dirty especially my white car. I know no pleasing some people huh! Thanks for the blog. I look forward to reading it all the time you keep it very interesting. I was in Hawaii for Christmas the year Genetic Offspring was a baby. The palm trees were gorgeous all covered in lights! BUT it was weird, just like the year we went to Florida for New Years, Christmas songs playing and I got a sunburn, again weird. NOT THAT I AM COMPLAINING!!!!! I love going away. My bench mark for Christmas is the year we drove down from Yellowknife, and hid under the tree to surprise Grandma, now THAT Christmas was snowy and cold but so very cozy 🙂 And I got the Barbie Airplane, best Christmas Ever! I love this, great post! I love the winter. Sometimes I hate it too, but I love it when I have the time to enjoy it. When its really “wintery” it makes me feel like a pioneer surviving against what mother nature throws at us. I love burning our wood stove. I love ice skating on the lakes with some tasty treats and a bottle of wine. And like you I love the seasons. A tough Michigan winter makes Spring so much more wonderful! And Fall, I adore the fall. Pumpkin patches, apple orchards, jumping in the leaves, cool crisp fresh air. I don’t think I’ve ever had my nostrils freeze shut though even though it gets pretty cold here. At least not that I can remember! I imagine Lake Michigan creates it’s own special brand of winter! Your winter sounds like a postcard or Christmas card 🙂 I wear a hard winter like a badge of honour and it makes me appreciate summer so much more!! !